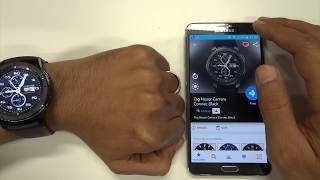 Just recently announced to the world less than one month ago, the Tizen-powered Samsung smartwatch, the Gear S, is exciting tech geeks world-wide. The Samsung Galaxy Gear S Cairo version will be available through T-Mobile, Sprint and Verizon soon sometime this fall. Compared to other smartwatches, this Gear S stands apart from the crowd by supporting 2G, 3G and Wi-Fi connectivity which will let the users make calls and connect to the internet like smartphones no matter where they’re at. If you’re into the most up to date techy gadgets, the Gear S smartwatch is the perfect device to look forward to this fall. 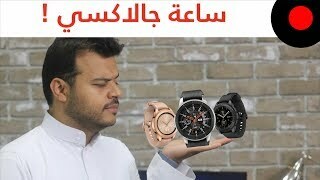 The design of the Gear S may look familiar to you if you’ve had a look at the Samsung Gear or if you own one yourself but this time there’s a huge twist! The elegant curved Super AMOLED display adds style and comfort for any wearer. There is also a customizable watch face as well as changeable straps which will let you personalize the watch with your own personality and pizazz! The screen is rich and crisp with easy to view images and text as well as having an easy to understand interface. This allows quick access to all the information and notifications that you want to see. The largest goal of a smartwatch is to integrate communications between your smartphone and the delicate device on your wrist. Samsung has done great integrating communications with the near Gear S with 3G, Wi-Fi and Bluetooth connectivity. You are allowed to make and receive calls, test messages, and even view notifications all conveniently right on your wrist. There is also a full onscreen keyboard which supports 69 different languages. With more features and applications than any smartwatch on the market, Samsung strived to make you as lively and productive as possible the Samsung Gear S in Cairo. For the quickest and easiest route to your destination, pedestrian navigations is featured in the Gear S as well as S Voice which takes hands free tasks to the next level. Additional apps included are 24-hours News Briefing as well as S Heath which will help you stay active and fit. With the world attempting to become a healthier community, the Gear S has integrated all the latest health apps and features to help you be your very own health coach. With this smartwatch, you will never need to shell out any extra cash for a personal trainer or a health monitor, you can be your own with this fitness companion. There are multi-sensors, built in GPs and S Health features for the ultimate workout experience which will help coach you throughout your workout routine and keep you motivated for hours on end with its 300 mAh lithium ion battery. More advanced than any other smartwatch available, the Samsung Gear S Cairo smartwatch will be your new best friend. It combines convenience with style while also being comfortable and practical at a price we can all afford. The ability to personalize your device to the max is definitely as plus as well as all the new features and apps available which have never been seen before. Overall, this watch is a great bang for your buck and will ultimately become your newest sidekick. Price has decreased 15% from EGP 790 on 2018-06-27 to EGP 670 today.